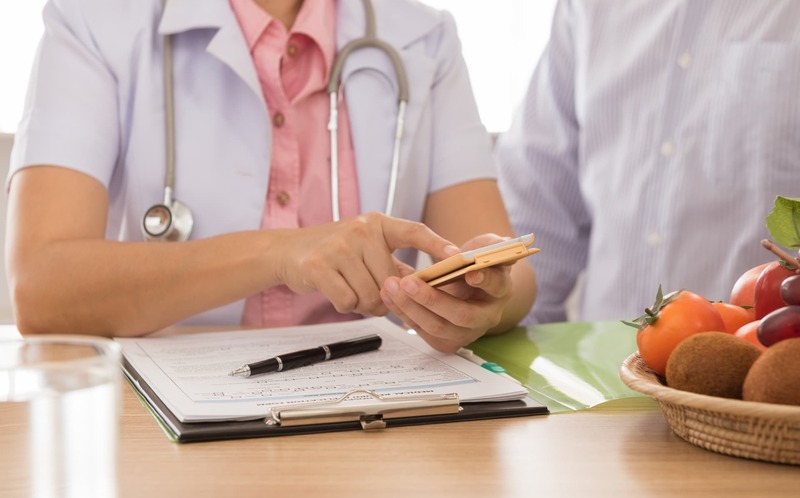 Ok now that you’re back…I want to keep it ALL the way real and tell you how I learned about the company through which I’m now receiving dietitian services – Good Measures. UPDATE: Since this review was first published, I’ve since done a video demo where I take you through my very own Good Measures account to show you – feature by feature – how it’s helped me change my eating. Plus, a Good Measures dietitian was on deck to answer questions. Check it out! Or if you’re ready to check out Good Measures directly, press the button below. 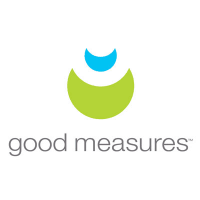 I wanna check out Good Measures! Why Bariatric Foodie may be a product snob (or not). Being a blogger, I get a lot of requests to review products. I will tell you up front that I turn down about 95-ish% of those requests. And no, it’s not that I’m snobby. I just feel like I have a responsibility to you guys to prioritize my time reviewing products that can solve actual problems in your lives or make your lives easier. The latest skinny tea, frivolous gadgets, and supplements “specially formulated” to non-op bodies aren’t a top priority for me. But when I do hear from a company I think has a solution to problems we are having in the WLS community, I do a good amount of due diligence before agreeing to even look at the product. This usually involves some forensic investigation looking extensively at a company’s website and hard-core interrogation asking many questions of their representatives. Only when I am confident that the product is something a good amount of folks in the Foodie Nation can use to their benefit (even if I don’t personally like it), will I review it. That’s what I thought about Good Measures when I first started investigating what it was. The following is an accounting of what I saw and experienced. So what the hell is Good Measures? So I should say that this opportunity was somewhat serendipitous. I wasn’t lying in that “5 Reasons” post when I said I had gone without the services of a dietitian for a long time and needed to start back up again. It wasn’t that my eating was totally out of control, but I’d fallen out of a lot of my old “die hard” post-op routines and I was feeling the difference. I was having more blood sugar crashes, I felt lethargic, and I just felt like I wasn’t always making the best choices. So I was genuinely curious to figure out what the hell Good Measures was – and use it to my benefit! It has a very robust online food/water/activity tracker that you can use from a computer, smartphone or tablet. To a certain extent, the platform can be “custom fit” (for lack of better term) to your particular needs. More on that in a moment. You get the services of a dietitian who has training in your particular special dietary needs (in my case, I got a dietitian who was trained in working with bariatric patients but they also have dietitians trained to work with a variety of health conditions, including with diabetic patients, pre-diabetic, and people on a kidney diet). 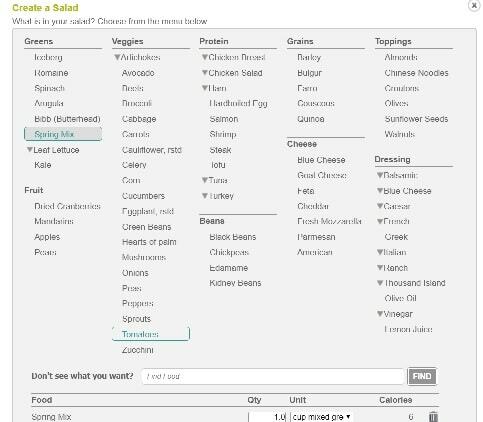 On the online platform (it’s kinda more than a website), you have access to a host of tools that help you make the right food decisions in order to achieve whatever goals you have. So that’s clear as mud, right? Let’s dive into the details. Do any of you remember that MTV show, “Pimp My Ride” where they did custom car makeovers? If so, you’ll get the reference by the time I’m done this section! So the very first thing that happened when they gave me access to the platform was that it interviewed me. Yes, it interviewed me. It wanted to know how much I weight, how tall I am, how active I am. Yadda. That’s all pretty standard. Most online food journals have similar features. From there I got to start using the food/water/activity tracker. I was perplexed! But thankfully…along came my dietitian. For the purposes of privacy, let’s call her Alice. The day after I signed on to Good Measures for the first time, Alice reached out to me and told me she was available to meet at my convenience by phone, secure video, message (through the Good Measures platform), whatever I wanted to do. I decided it was best to start with a phone call. We’ll get to more of what happened in that first phone call (and subsequent ones) in a moment, but what I wanted to tell you for now is that when I spoke to Alice, she immediately recognized that the goals assigned to me by the platform weren’t quite right. And she had a pretty simple solution. Say what? Yes. She could adjust it so that my daily caloric goals were in line with how I was told to eat (40% daily calories from protein, 35% from carbs, 25% from fat). She also adjusted my overall daily caloric goal because we both knew I wasn’t going to hit that many calories per day. And so it was the case that my Good Measures food tracker was custom fit for me. From my personal experience, most dietitians are really nice people. When I hear of folks who have dietitians who don’t seem so nice, I really wish they could have any one of the multitude of dietitians I have met in my lifetime because most of them have been really friendly and encouraging people. I think you sort of have to be to even want to go into dietetics. I tell you that to say I wasn’t at all surprised that Alice was a lovely person. And on the first call, we talked a lot about my lifestyle, my goals, what foods I like to eat/don’t like to eat, what I feel like my vices are and my strong points. From there, she suggested a caloric goal for me based on what I’d told her. At first I thought it was a bit high and said so. She assured me that if it was, we could adjust it and that she would adjust my food tracker accordingly. Alice is available to me every week but I admit for the first few weeks I wasn’t sure what I was supposed to do with this support. My first approach was simple accountability. We’d go over what I ate, she’d answer my questions. Always encouraging, even when I screwed up. It wasn’t until I came upon an all-too common post-op problem that I began to see the extent that she could help me out. Food apathy. Have you had it? That’s where you just don’t care that much about food. The curious thing about food apathy is that it tends to lead to really bad eating choices! I’ll never understand that. But since Alice and I were meeting weekly, I shared my food blah’s with her. And she sort of sprung into action! I knew she wasn’t here to judge me. She’d seen me at my most crappy eating and she was constantly encouraging me to try again, try better. That she was extremely resourceful. She had great ideas I hadn’t thought of before, which I thought was really cool. That she was available to help me as intensely as I needed to solve my dietary challenges. Whew! I said a lot there. I feel like this is where a commercial break would be if we were on TV. Go grab a bottled water, some Crystal Light or…something…before coming back to read the rest of this review. How the platform helps determines if you are making the right food choices. How the platform attempts to help you make the right food choices. Some things that I found easier on Good Measures than on any other food tracker I’ve used (and I’ve used several). So once Alice and I met and set up my goals, she put them onto the back-end of the food tracker…however she does that. (I’ve never really asked!) From there, the site has one main way it determines if you are making the necessary eating choices to get to your goals. It’s called the Good Measures Index, or GMI for short. So how does the site come up with this score? It uses a bunch of different information. But what I found impressive was that it was more than just how many calories you ate and how far over/under your caloric goal you are. It also takes into consideration the nutritive value of the foods you eat. 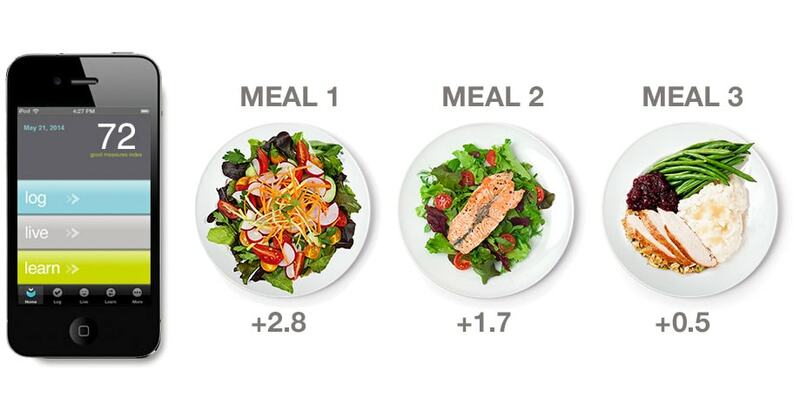 Eat foods packed with the right combination of nutrients, and watch your score go up. Eat empty calories, and watch it sink, sink, sink. I’m glad you asked that. You’re very savvy! The GMI is pretty complex and if you are a numbers geek, the site lets you see why it has scored your GMI the way it did (for me, that was information overwhelm at first but Alice taught me how to read all that data). Or…you never have to look at it if you don’t want to. The site has other ways of helping you make the right food decisions. Best next meal suggestions. 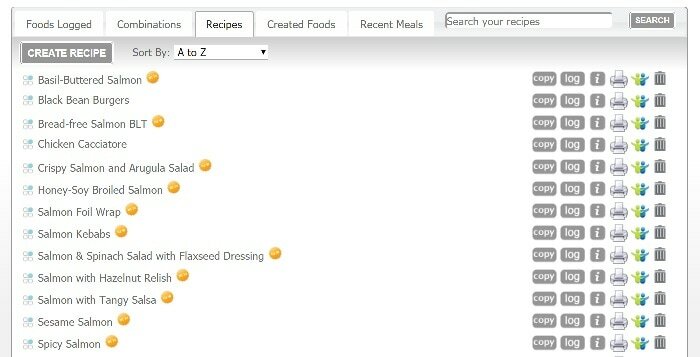 For any meal, you can ask the platform for suggestions for your best next meal and it will make suggestions. At first those suggestions are based on recipe databases that you choose (so you can tell the system you only want low-carb meals, or low-sodium meals, or some combination in between). But as you start to put the food you eat into the system, it will start suggesting foods you like to eat. Each suggestion will tell you how big of an impact it will have on your GMI and, in turn, on your progress toward your goals. Nutrient specific suggestions. So let’s say you aren’t eating enough…I dunno…beta-carotene. And your GMI is suffering for it! You can ask the system what foods you should eat to get more beta-carotene and it will give you both individual food suggestions (like carrots!) and recipe suggestions, to help you get more of the nutrient you need. Again, it will give suggestions both from a food database and from the foods you like to eat, as you start putting food into the system. For me, these suggestions were most helpful after I’d used the platform for a few weeks and it started giving me suggestions based on what I like to eat. One neat thing I found was that as I put the foods I eat regularly onto the platform, when I asked for suggestions, it paired up my old, familiar foods in ways that I had not thought of before. This has led to some new/old and very yummy meals! Now believe it or not, for the first few months I used Good Measures I only used it on a desktop. Don’t ask me why. I’m funny like that. So at first I didn’t think much about their activity tracker. The water tracker seems fine and pretty standard. You put in how much you drank, when you drank it, and the system tells you your progress toward your daily water goal. Not much new there. The Good Measures app can automatically sync with several popular activity tracking apps and devices, such as Apple Health app, Fitbit and Garmin. If you give the app permission to access these, it will just pull your activity data into your tracker and factor it into your daily goals. Also, once you have the app, it will start sending you meal suggestions when it thinks it’s your mealtime. If you put in the times when you eat a meal, it will begin to learn when breakfast, lunch, dinner, and snack times are and will send you a notification at the appropriate time. For those of us who suffer from food amnesia (aka “I forgot to eat!”) this can be very beneficial! Both the app and the desktop version of the platform also have another neat function that I must tell you about. Food templates. The only way to accurately describe the benefit of food templates is to tell you what my life was like without them. Ok so…you guys know how I always say if you want to do the right thing, make the right thing to do the easy thing to do? Yeah. Well, most food trackers I have used don’t seem to go by this philosophy. So when I make a healthy choice like, say, a salad, I personally find it cumbersome to log that. I either have to make it into a recipe or I have to sit there and individually search a bunch of little ingredients that I had in my salad. Good Measures food templates took away the pain! I happened upon them accidentally. I ate a salad for the first time after starting to use the service and I went to log it and an option came up that said “Create a Salad.” Being the adventurous person that I am, I clicked it. And this menu comes up. With damn near every item one could put in a salad listed. All I had to do was click what was in my salad and the platform “built” my salad entry! Now there were default ingredient amounts (like 2 tbsp. for dressing, etc.) but those are stupid easy to adjust. So basically I ticked off a few boxes, spent about four seconds adjusting the amounts, and voila! Salad on my food tracker. It even let me give my salad a name so I could automatically store it as a recipe with no additional steps. Now I want to emphasize that in reality tracking a salad on most food trackers isn’t hard. There just tend to be more steps and that makes me perceive it as harder. Which prevents me from doing it. It’s a mental thing, I know! But it’s great that Good Measures helps me out that way. Yeah so that’s great but how much does it cost? I imagine at this point that’s what you’re wondering. Before I tell you that, I wanted to share one last thing. I’m more than 5 years post-op and therefore more likely not to be so strongly connected to my surgeon’s office. This isn’t universally true, but I would argue that younger post-ops get most of their dietary services from their bariatric surgical practices while further-out patients may have lost touch with their practice or, for some other reason, are just not getting dietary services. I am hella busy. Which means keeping appointments during normal business hours can be challenging! I was encouraged when they told me I could meet with my dietitian in the evening (even the late evening) or on weekends. So it was good that the service addressed those things but as I started to use it, I saw ways the platform could be optimized to be even better for post-op patients. So I told them so. And do you know what they said? And so kicked off several months of me meeting with everyone from their sales and marketing people to their software developers to tell them what could make the platform even better, more convenient, more helpful, more effective for bariatric patients. And they listened! Most of the changes I suggested (and there weren’t a ton) are being implemented as you read this review! Month-to-month. In my estimation, month-to-month plans are good for trying things out if you aren’t sure if you’ll like or use a service. No matter what plan you choose, you’ll get access to everything I described in this review. The price for a month-to-month plan is $39/mo. billed every month. The annual plan. The annual plan is for folks who are reasonably sure they are ready to have dietary support for a whole year. You’ll meet with your dietitian about every week for the first few months. As you get the swing of things, you may choose to switch to checking in online less frequently. But your dietitian is always available to you. The annual plan shakes out to $29/month but you pay for the entire year at one time, which comes out to $348. Let me just to put that in perspective, with the annual plan you are paying $0.96/day to have a dietitian available to you virtually anytime via message and once a week for actual face time while you’re working to improve your eating habits. Now…y’all know I’m cheap thrifty. But I do recognize a good value. Based on what I have experienced thus far, working with Alice and getting help from the online platform and the app? These costs didn’t seem unreasonable to me at all. The platform alone has changed the way I plan my meals, and how I eat. But the best part is that I don’t have to figure it all out for myself. Alice has been there every step of the way, helping me get my Foodie house in order! So it should come as no surprise that I am officially deeming Good Measures Foodie-approved!